Rapunzel de Bar has been kidnapped and cursed by the old witch, Hecuba. She's trapped in a tower that has one window and no doors. 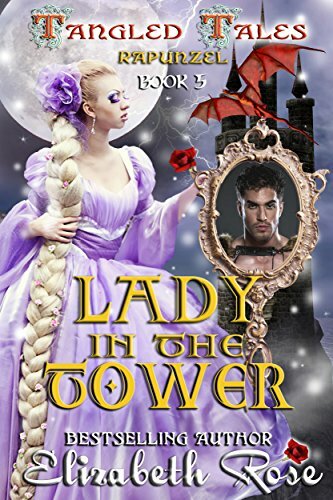 she tries an escape on her own, she meets the Dragon Lord in training, Marco Drago del Rossi III. But he's more interested in chasing down criminals for the bounty instead of saving damsels in distress - until they share a kiss. Can a Dragon Lord in training and a cursed lady find love amongst all the turmoil that magic has placed in their lives? And is escape even an option for Rapunzel with a curse so dark that Marco is forced to push his past aside and risk everything for the girl he loves? Love knows no bounds, and sometimes a prison is not physical . . . but self-made.